Infused with Microban protection to inhibit the growth of bacterial odors. 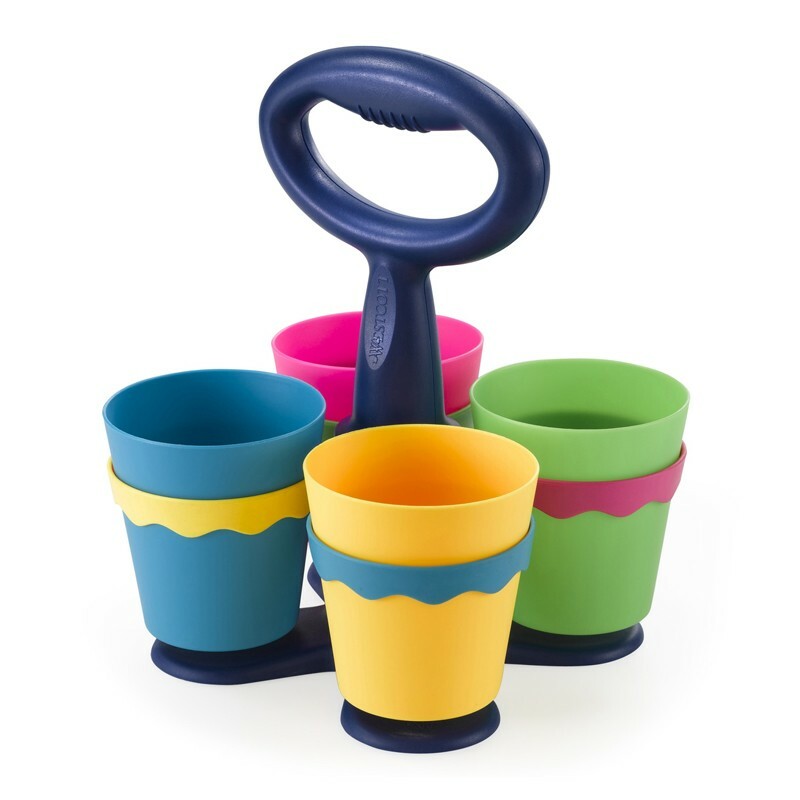 Cups are removable for easy handling. Holds 24 pairs of Westcott 5 Inch Kids Scissors. Scissors sold separately.